A postal worker has been jailed for seven years for stealing hundreds of chequebooks from the sorting office where he worked in a £1.2m fraud. Paul Akuda, 64, was found guilty last month of conspiracy to commit fraud. 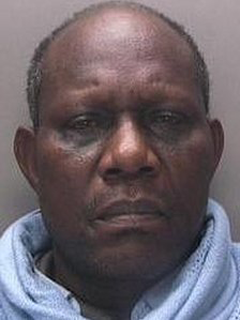 Akuda worked for Royal Mail at the sorting depot in St Stephens Street in Birmingham from November 2003 until his suspension on 26 May 2011. The Royal Mail Investigations Department noticed a spike in the loss of mail and started an inquiry in 2010. Akuda was filmed taking post from an area of the depot, putting stolen items into a carrier bag and then leaving. Police found four stolen chequebooks in his bag, two chequebooks in his work locker and a further 38 chequebooks at his home in Handsworth, Birmingham. Police, Royal Mail and the banks estimated between October 2010 and May 2011, more than 500 cheque books had been taken, and were used in fraud amounting to losses of £1.2m. Kerry Moreton, from West Midlands Crown Prosecution Service, said: "Paul Akuda abused his position of trust with the Royal Mail and began a campaign of dishonesty against his employers which resulted in innocent members of the public having their cheque books stolen and money taken out of their bank accounts. "Although his illegal activities resulted in losses of over £1m to a number of banks, there was no evidence to suggest that Akuda was more deeply involved in the frauds than acting as the original thief and supplier of the chequebooks. "But his actions were key to the whole enterprise and without which the rest of the fraud could not have taken place. "It does appear, however, that he received minimal financial benefit for his role in the enterprise."